If You Love Something, Set it Free…. 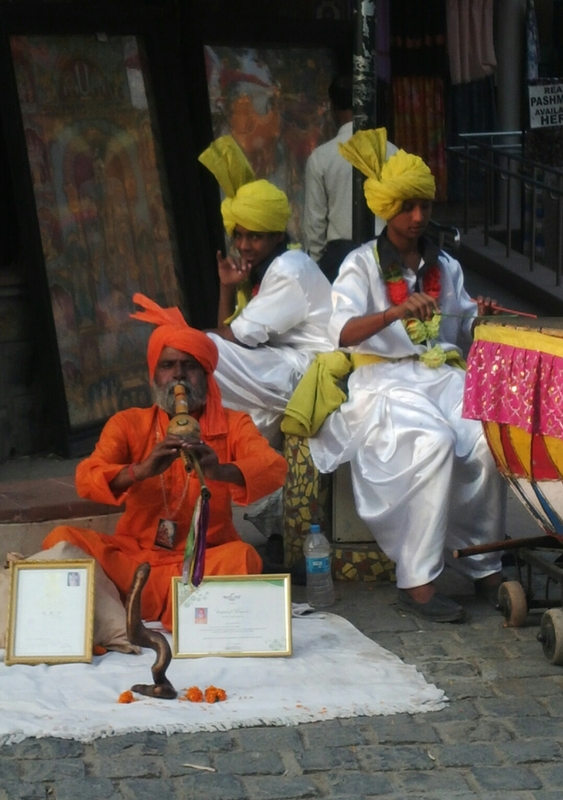 It is a tradition in some parts of India to train pigeons for recreation. A whole flock lives on the roof-top of the house of the master. The birds are free to fly around and they always come back after sojourns around the neighbourhood. The birds are usually marked with some pigment for easy identification. These two broke away from the flock to race each other before joining the group again of ten again! Though more common in the older parts of Delhi, it is quite an unusual sight to see trained birds in the more modern parts of this bustling city. …and THIS is How it is Done!! This cutie pie had straddled himself neatly in order to reach the fruit of the Neem Tree. His agility, flexibility and enthusiasm really made my day! 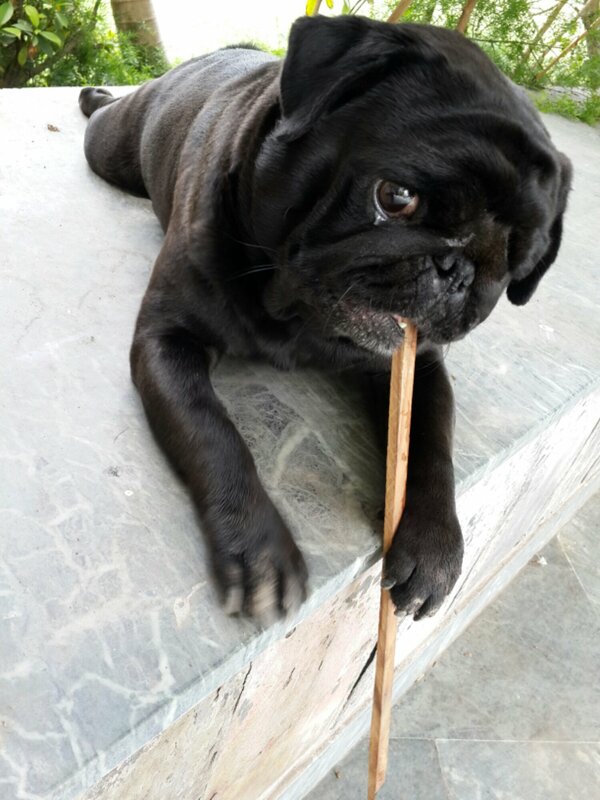 Happiness is a stick to chew! The last few nights have been sleepless ones. All American college results come out at unearthly Indian hours. One sets the alarm for 2.30 am for a 2.45 decision spilling mail. If the mail starts with `Congratulations!` one is too excited to go back to sleep and if it stars with `Sorry` then too depressed. Sleep and peace of mind are the biggest casualty in the months that this entire admissions process takes, and I am speaking from a parents point of view. I cannot even begin to think about the highs and lows that youngsters face. Starting from getting a great SAT score, to writing the most eye-catching essay, to maintaining great grades in schools, not to mention stellar extra-curricular performances.. it all comes to a head in the dead of night, with the computer screen for company, a nervous teenager by your side, the night light casting an eerie glow to these nocturnal proceedings. With every rejection there is heart-break and a renewed doubt of ability and self-worth, with every acceptance a bit of solace. Its heart-wrenching to observe. One wants to hold them tight and say no matter what decision the admissions officers take, they are basing it on the few pages of material that they have been sent, and while this is the only way it is and can be done, it is hardly able to encapsulate the beauty of a living, breathing, enthusiastic, unique individual, one who is daring to dream big dreams for himself or herself. When acceptance rates are going lower and lower and competition higher, I wonder how our education system will keep pace with the dreams of thousands of children and their parents for a world-class education, without killing the spirit of the child. Are brilliant children being crushed under the burden of unreasonable and often, unknown, expectations? Or do each of them eventually find their niche and lead a successful and happy life, no matter which college chooses to accept them? I can only hope that they do and that they never lose faith in themselves and their abilities, reagardless of what the blinking screen in the middle of the night tells them…. This naughty little one found a woollen doll that was drying in the sun and happily decided to pull a few strands of her hair presumably to line its nest and make it cosy! !